This is a book in three parts. First, we have the account of an ordinary soldier who doesn't really want to be there. "A. reached basic training young, healthy, and innocent". This is Avi, writing of himself in the third person. When the sergeant said to do things on time he did, and when the commander ordered everyone to give him 50 pushups A. was the one who set the pace. But the danger of innocence is that it gets cracked easily by stupidity and cruelty. And so not much time had passed before A. started thinking that perhaps it was not right that he was the only one who was not late, or that he was the only one who cared when the sergeant threw him a good word. His concern grew when he heard the other members of the platoon saying that the regular punishments of running back and forth were not even punishments for something they had done wrong! They were, instead, a plot by the sergeants—that is, the system—directed against them! A. began thinking about this until he could no longer sleep during the short nights allotted to them. He thought so much that he began to move slowly in the morning himself, and to run slowly when they were punished. Because all of his faculties were devoted to the problem, he did not notice anything else, and quickly became the slowest and deafest of soldiers. Because one of the commanders would speak to him on occasion and interrupt his thoughts, A. suddenly understood that what they wanted to do was prevent him from thinking. He understood that they were his real enemies! They were the enemies of thought and creativity who wanted to enslave him and turn him into a creature incapable of thought, and willing to obey them. When his tent mate, Amos, brought a book of philosophical meditations called In the Footsteps of Thoughts he and Matan actually read it and then talked about it for weeks, lying sore on the ground after days of exhaustion, breathing in the smell of their own unwashed bodies, of earth, and of dusty canvas....Today, Matan is a physicist. Amos is a psychiatrist and lives in Paris. For all of his adolescent rebellion, Avi also refused to take a desk job when a physical turned up a spinal cord defect a couple of years into his enlistment. He preferred serving at the Pumpkin, a hilltop fort in southern Lebanon near Beaufort Castle. 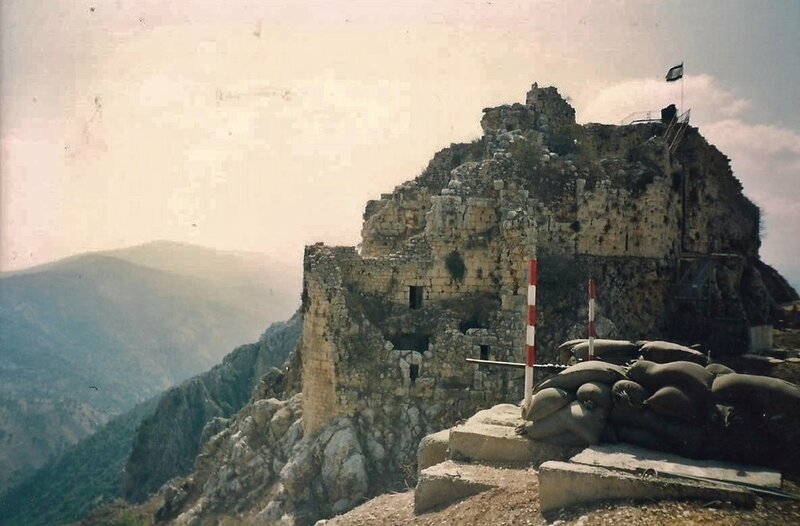 Avi and his mates in the Pioneer Fighting Youth were stationed in a series of such forts in the South Lebanon Security Zone. That stubborn devotion got Avi killed in an unfortunate helicopter accident in 1997, when he was being flown back to his post in Lebanon in a desperate attempt to avoid bombs on the roads. After that, the soldiers went back to the roads, in a desperate attempt to avoid more helicopter crashes. I think Friedman is right that this crash was the beginning of the end for Israel's long-running low-grade war in Southern Lebanon, which had been going on for almost twenty years at this point. My second part is Friedman's firsthand recollections of his time at the Pumpkin. Friedman's parents had emigrated from Canada, and now Friedman's compulsory service was due shortly after the crash that killed Avi. This would make Friedman a couple of years older than me, if he was 19 in 1997. Were I Jewish, and had my family immigrated to Israel, I easily could have found myself in the exact same place that he did. A map of the Pumpkin, from the front matter of Pumpkinflowers. There weren't enough maps for my taste in the book. That place turned out to be the Pumpkin, with that unusual combination of boredom and terror that garrison duty provides. Friedman's prose changes in this section, becoming simpler and more direct. The first part of the book was based on Avi's writing and interviews with people who knew him, whereas the second part is largely Friedman's direct recollection. Interleaved with Friedman's account is a short history of the Four Mothers movement, which arose in response to the helicopter crash that killed Avi. The crash killed 73 soldiers, which to put into perspective for me, would be the equivalent of 3400 dead Americans, based on the relative population sizes of our two countries at the time. That is almost as many American soldiers who died in the 2003 American-led invasion of Iraq. Except all at once. Thus it isn't surprising that the Four Mothers movement successfully campaigned to get Israel to withdraw from Lebanon in 2000. From Avi's and Friedman's accounts, the whole hilltop fortress thing never seemed to have been terribly well thought out. Rather, it was blundered into, and since militaries tend to be extremely conservative, the Israeli army just kept on doing what they had been doing, until something shocking happened and allowed everyone to reassess. The final part of the book is Friedman's post-Pumpkin civilian life, and his bold quest to go see the Pumpkin again. 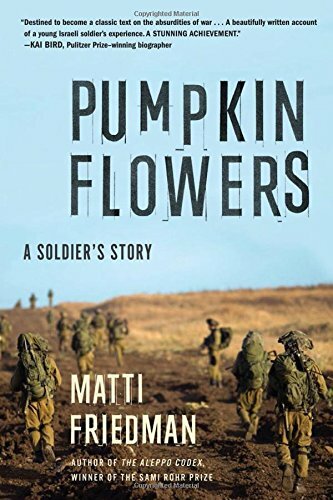 I was struck by the way in which Friedman described the process by which shared suffering can forge lasting bonds among soldiers, and by extension the rest of your nation. Given how small Israel really is, this process is much more intense than it possibly could be in a larger nation like the United States. Using his Canadian passport, Friedman traveled into Lebanon. He saw the country, posing as a tourist to deflect suspicion that he might have once served as an Israeli soldier. 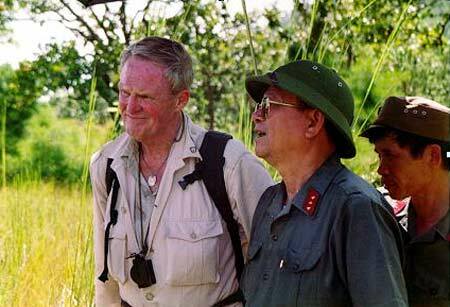 Since it hadn't really been that long, Friedman couldn't meet his former enemies openly, the way Hal Moore met Nguyen Huu An. Nonetheless, Friedman still manages to humanize his former [or maybe current] enemies. Which is not to say that he uncritically accepts what they might say about him or his adopted country, but rather he just presents them as they are, which is what he tried to do for himself and Israel. I think he does a reasonably good job. I would have liked more maps though. 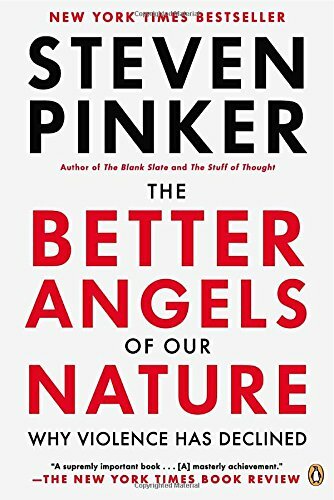 The rosy picture of human conflict John reported in this post from 2004, called Pinkerization after Steven Pinker's book The Better Angels of Our Nature: Why Violence Has Declined, no longer looks so good. As late as 2008, the data from the Uppsala Conflict Data Program looked much the same as it did in 2004, but in 2017 things are looking considerably worse. 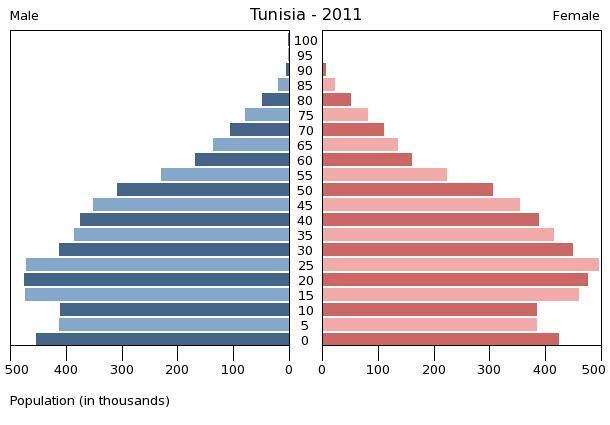 Neither of the graphs above would be discernable if the axis extended back to WWII. Compared to that, everything else is just noise. Hopefully, that trend will continue. Over the weekend, PBS broadcast the classic political film, The Candidate. Though it premiered in 1972, it has aged remarkably well. The scary thing, in fact, is that one or two of the journalists who are mentioned in the film are still in business. The movie is about a young, liberal Californian public interest lawyer named Bill McKay (played by Robert Redford), who is prevailed upon by a political consultant to run for the U.S. Senate. His Republican opponent is a pompous old incumbent named Crocker Jarmon (played by Don Porter). McKay, though the son of a former governor, has no political ambitions. However, he is energized to run when he goes to a Jarmon rally and hears his reactionary program: welfare reform; the accommodation of environmental regulation to the needs of economic growth; pro-life; reflexive patriotism. I saw The Candidate when it first came out, and like everyone else, I liked it then. Like most people at the time, I also hummed along with McKay's politics. What is shocking after all these years is how completely Jarmon's ideas have become the dynamic ones. Today, a candidate as young as McKay, and sporting the same kind of golden-helmet haircut, would almost certainly be delivering Jarmon's stump speech. Speaking of dynamic ideas, The New York Times Magazine yesterday tried to offer the Republican Party a few, in an article entitled How to Reinvent the G.O.P. The piece was by David Brooks, a Republican but a social liberal, whom the Times keeps as a columnist so the paper can pretend it has an ideologically inclusive editorial page. [Some Republicans are] at least trying to come up with a governing philosophy that applies to the times. [They understand] the paradox that if you don't have a positive vision of government, you won't be able to limit the growth of government. Chief among these is George Bush himself, whose platform in 2000 did in fact contain proposals in addition to tax cuts. Brooks, and the folks at the Weekly Standard, want to push the Republican agenda in the direction of what, before 911, they called "National Greatness," but which now they call Hamiltonian Progressive Conservatism. The argument for this is backed up by a retelling of American history that highlights the economic and social policies of Abraham Lincoln and Theodore Roosevelt. The solution is clear: push back the retirement age, reduce benefits for upper-income people, redesign the welfare state so that individuals have control over their own benefits packages. That means designing programs that allow people to have their own health insurance, which they can carry from job to job; to control their own unemployment insurance and tailor their retraining efforts to suit their own talents; to invest part of their own pension money and benefit from higher returns, so they have greater incentives to save on their own. It means reforming the health care system so competition works as it does in every other sphere -- to improve value, spur innovation and reduce costs. People don't want more choices about health insurance and Social Security. I suspect that most of us have gathered by now that foundations that promote "reproductive choice" are less interested in expanding the sphere of choice than in limiting reproduction. In the context of support for the old and the sick, this verbal gimmickry will quickly become both obvious and intolerable. --If the US economy is not producing enough tax revenue to pay Social Security benefits, it will not be producing enough interest or dividends to do so, either. --Health care is a question of basic public order, like police and fire services. Elements of the system can be private, but "choice" can never be a fundamental consideration. In fact, the number killed in battle has fallen to its lowest point in the post-World War II period, dipping below 20,000 a year by one measure. Peacemaking missions, meantime, are growing in number...A collaboration with Sweden's Uppsala University, [the 2004 Human Security Report] will conservatively estimate battle-related deaths worldwide at 15,000 in 2002 and, because of the Iraq war, rising to 20,000 in 2003. Those estimates are sharply down from annual tolls ranging from 40,000 to 100,000 in the 1990s, a time of major costly conflicts in such places as the former Zaire and southern Sudan, and from a post-World War II peak of 700,000 in 1951. That's encouraging, but then we have the chicken-or-egg question: does the UN create peace, or do peace agreements make work for the UN? According to the study, the value of all weapons transfer agreements worldwide was more than $25.6 billion in 2003, the third consecutive year that the dollar total for global arms deals declined. When measured in dollars adjusted for inflation to give an accurate comparison to the $25.6 billion figure, the value of global arms agreements has steadily fallen, from $41 billion in 2000. Fewer large-scale arms purchases were being made by the wealthier oil nations in the Middle East, whose earlier buying sprees contributed to a bull market in weapons when Iraq under Saddam Hussein was a regional threat. The report said it remained uncertain whether the Persian Gulf states would now perceive a potentially hostile Iran as a new motivation to improve their arsenals. At first blush, the argument in Schell's book seems plausible. After all, we all know that insurgencies are unbeatable, just look at Vietnam. Unfortunately, this is only plausible if you are well educated while at the same time not knowing much of anything. While it could perhaps be said that the VC was part of what broke American will to fight, the actual battle that conquered South Vietnam was fought with infantry, tanks, and artillery. One can easily multiply examples, and John does here. The point is that history is a mass of details, and trying to reduce it to principles usually ends up obscuring more than illuminating. Which is true even of John's favorite metahistorians, Spengler and Toynbee. Could the author really not know that transnationalism is fundamentally post-democratic? International entities, such as the European Union, are designed to suppress populist impulses, and sometimes for good reason. In any case, the next enemy of liberal government will not be empire, or international corporations, but direct-action politics. The growing ecology of non-governmental organizations, radicals, and pressure groups despise the state and will not take election results for an answer. Nothing in politics is more tyrannical than minorities with a veto. Keep that in mind when you look at the American primary election results. I picked up this book with some trepidation. The author, Jonathan Schell, is best known for “The Fate of the Earth,” a book written during the brief period in the Cold War when the Soviets seemed to be winning. In it, he argued that the West was morally obligated to forgo nuclear deterrence. Now comes the same author, arguing that the era of war has ended in world history. The future, he says, belongs to structures of peaceful cooperation among the world's peoples, which will redefine the institution of political sovereignty. 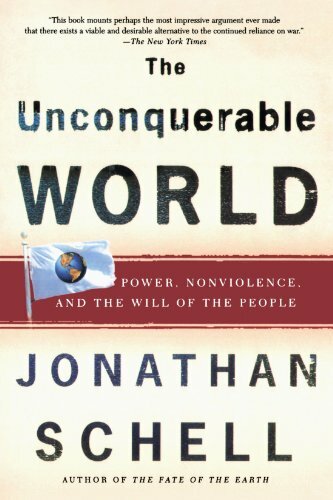 You must imagine my surprise in discovering that “The Unconquerable World” is a thorough and thoughtful book. It sheds new light, or light new to me, on the relationship of violence to political power. The author's account of the changing role of war in the international system is often provocative and sometimes illuminating. Nonetheless, I think the book is most valuable as an ideological formulation of the growing transnationalist movement. The implications for the future of the West and the world could be appalling. According to the author, a dialectic has been running through history of the two ethics expressed by the near contemporaries, Virgil and Jesus. Virgil sang of “arms and the man,” of the use of force as the final arbiter in the world's affairs. Jesus, in contrast, advised his followers to put away the sword entirely, since those who lived by it would die by it. These traditions underlay the distinction between realism and idealism, public and private, even between state and church. In the 20th century, they developed to theoretical maximums, and turned into their opposites. War became peace by becoming too terrible to use, while peaceful cooperation became the only possible realism. Let's start with war. The author gives a great deal of attention to Clausewitz's (variously formulated) dictum that war is politics conducted by other means. At any rate, that is what war should be. The problem is that, though governments wage war to change the enemy's behavior, war has a logic of its own. Absolute war, the ideal of maximum lethality, would leave a desert with no one to surrender. Absolute war conducted by both sides would destroy both combatant societies. This theoretical limit was reached in the 20th century, when nuclear weapons appeared. Nuclear weapons, however, necessitated the development of strategic deterrence. This had the effect of etherializing violence. Actual destruction of people and things was replaced by attacks on the enemy's morale. This would be important if it were true, but it isn't. For instance, the author tells us that all empires ended between 1776 and 1991. In fact, though the British left India, the Republic of India remains the Mughal Empire, conducted by other means. The People's Republic of China is roughly the empire of Qing times, disembarrassed of the Manchu Dynasty. The author's specifics are also sometimes questionable. We are told: “The Japanese were the first -- but unfortunately not the last -- antiguerilla force to whom it occurred that if the guerrillas were the fish and the people were the water, then one way to fight guerillas was to drain the water.” Actually, the earliest example of this strategy I can think of was the mass detention of civilians in “concentration camps” during the Boer War, a ruthless procedure that was entirely successful. One might argue that Boer self-determination finally succeeded, because South Africa eventually became independent. How the final defeat of the Confederacy in the American Civil War accords with the principle of unconquerable self-determination is not clear. Maybe the South will rise again. To pick a small nit, the author overlooked one of the great successes of People Power in world history: the achievement between 1861 and 1865 of national autonomy by the Kingdom of Hungary within the Austro-Hungarian Empire. This was done peacefully, through the creation of parallel institutions, in the face of strong opposition from Vienna. It greatly facilitated the Hungarians' oppression of the Slavs within their territory. It is true that the great European colonial empires evaporated soon after the middle 20th century, but this arguably had more to do with the debellicization of Europe than with increased ungovernability of the colonies. Even the Communist victory in Vietnam can be attributed to the eclipse of the power of the American presidency after the Watergate scandal. The Republic of South Vietnam was not overthrown by an insurgency; it was conquered by conventional arms. Nonetheless, the author's account of theories of cooperative nonviolence is well worth considering. In his interpretation, nonviolent politics fully comprehends a principle that People's War and strategic deterrence only groped toward: all conflict is fundamentally psychological. Violence can therefore be replaced by cooperation at every level of human interaction. Gandhi's philosophy of “satyagraha” is clearly the book's favorite. The term is famously untranslatable Sanskrit, meaning something along the lines of “holding fast to being” or “holding fast to truth.” The truth here includes the essential autonomy and dignity of each human being; this truth is not just anthropology, but an aspect of the reality of God. Satyagrahis will act in accordance with truth even if the powers of the world command them to do otherwise. They will not obey unjust laws or cooperate with an unjust system, which Gandhi eventually decided the British Raj to be. They will not merely resist unjust structures, but try to create structures of their own, which will be consistent with human dignity. Satyagrahis will in all cases follow the principle of “ahimsa,” of non-injury. They will not use violence, even on the intellectual level: the wordless certainty of truth precludes dogmatism and excessive insistence on abstractions. However, ahimsa also requires an unlimited willingness to suffer injury rather than to lose hold of the truth. Ideas similar to these appeared all over the world in the second half of the 20th century. The interesting thing was that, though Martin Luther King might cite Gandhi, the principle of non-violence in the Civil Rights Movement in America seems to have been a largely autonomous development. The same was true in the Civil Society Movement, to give one name to the variety of organizations and informal groups that developed in Soviet-dominated Eastern Europe. In that context, the impulse was less religious, but only in degree: Solidarity in Poland was based in large part on Catholic social doctrine, and Vaclav Havel's idea of “Being” resembles Gandhi's Divine Truth. A bigger difference, perhaps, was that the Eastern Europeans were intent on creating and defending a private sphere that the state could not violate. Gandhi, in contrast, was keen to encourage Indians to greater social and political engagement. There were purely secular versions of much the same insights. Hannah Arendt, for instance, wanted the spirit kept out of politics entirely. God is too powerful a concept to allow for compromise, she argued, and compromise is necessary if the world is to be livable. Be that as it may, she greatly advanced the theory of non-violence, at least in the author's estimation, by showing that political theorists have been wrong about the role of violence in politics. Even the sunniest philosophers of the Social Contract had assumed that political power was based on violence. Good governments differed from bad, in this view, only in that they used violence predictably, by consent, and for the common good. Arendt said, in contrast, that violence is the opposite of power. Power is a collective, cooperative capacity: it implies people working autonomously toward a common goal. Violence means destruction, or (if I understand the argument) a level of supervision so close that it coerces both the perpetrator and the victim. The author suggests that, rather than go against the common use of language, it might be better to consider that violence is also a kind of power, but that we should distinguish between coercive and cooperative power. If we do that, the conflict between sovereignty and international order can be resolved. In the author's view, the problem with the modern era was that war was central to the way the world worked: “A fatally flawed global system required a full systemic substitute.” Woodrow Wilson actually tried to fulfill this requirement at Versailles, but his alternative system was arbitrary, and maybe unworkable. The difficulty was not merely that collective security would have required political will that probably wasn't there. For international bodies to do the sort of things that Wilson envisioned, such as control or forbid the manufacture of some classes of weapons, or oversee the treatment of ethnic minorities, it would be necessary to mitigate some of the powers of state sovereignty, as sovereignty has been understood since the Westphalian settlement of 1648. 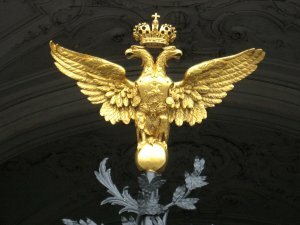 The Westphalian sovereign was designed for war: a single, absolute authority that, ideally, rules a single people in a single territory. For centuries, political theorists from extreme democrats to advocates of absolute monarchy assumed that sovereign power must be one and indivisible. Happily, this is not the only possibility. Only the power of coercion is logically indivisible. The power of cooperation can easily be divided, and often is. The riddle is solved by locating the source of sovereignty in the people. The people do not necessarily exercise this power directly. They can create a sovereign organ of government; they can also create more than one such organ, if they so choose. This is how some federal systems work. The “We the People” of the US Constitution are also the people of the several states. The existence of governments at different levels creates no logical problem (though I might point out that it occasions a lot of litigation). Since the combination of nuclear deterrence and the universal triumph of self-determination have made war unusable at all levels, we are no longer in the position of Wilson at Versailles. We need not replace the war system all at once, but bit by bit, as seems convenient. The author suggests four bits, simply for purposes of illustration: a treaty to abolish nuclear weapons, and eventually all weapons of mass destruction; a consistent policy for intervention by international entities in wars of national liberation; the effective punishment of crimes against humanity; and the creation of a league of democratic states to preserve and defend democracy. What the author does not want to happen is a world empire, particularly a world empire led by the US. The book becomes nearly apoplectic when discussing the recently adopted US policies of preemption and regime change, perhaps because those policies give different answers to the proliferation issues that so preoccupy the author. He tells us: “Empire, the supreme embodiment of force, is the antithesis of self-determination. It violates equity on a global scale. No lover of freedom can give it support.” This is merely wrong. It has frequently been the case, in ancient and modern times, that imperial structures provided the only possible effective protection for civil liberties and the safety of minorities. Beyond that, though, it is hard to take altogether seriously the author's exhortation to Americans to abandon the imperial path and embrace their republican tradition. Sounding oddly like Patrick J. Buchanan, the authors says “in a republican America dedicated to the creation of a cooperative world, the immense concentration of power in the executive branch would be broken up, power would be divided again among the three branches...civil liberties would remain intact or be strengthened; money would be driven out of politics, and the will of the people would be heard again.” Could the author really not know that transnationalism is fundamentally post-democratic? International entities, such as the European Union, are designed to suppress populist impulses, and sometimes for good reason. In any case, the next enemy of liberal government will not be empire, or international corporations, but direct-action politics. The growing ecology of non-governmental organizations, radicals, and pressure groups despise the state and will not take election results for an answer. Nothing in politics is more tyrannical than minorities with a veto. The international system did not transcend war at the end of the 20th century. Rather, it made the United States an essential feature of the system. The end of the Cold War left a remarkably demilitarized international system. America spends more on the military than the other major countries combined, of course, but that level of spending is not an anomaly in a demilitarized world: it is the demilitarized world's predicate. In effect, most of the world was content to let the US provide global security services, if any were needed. The new configuration is still tentative, and may not work. It is entirely possible that the US will fail to eliminate weapons of mass destruction in hostile hands; perhaps it will not be able to establish a secure political and economic order in the world. 911 made clear that much more effort is needed; maybe more than the US alone is able or willing to supply. If so, the result will be mere chaos, like an extended version of the 1930s. There is no real alternative. This brings us to the elements of pure delusion in the book. The author recognizes that “'people's wars' became 'peoples' wars'” after the empires broke up, and that these battles between ethnic and religious fragments can go on forever. This is why he wants a reliable system of humanitarian intervention. Of course, he also wants gradual disarmament at all levels, so it is not clear just who might intervene. In any case, he makes it a first principle that peace cannot be secured by even the implied threat of force: “The cooperation of governments, not their antagonism, is the indispensable precondition for a successful policy of opposing and reducing terrorism of any kind.” He recognizes that no treaty could be certain to prevent the manufacture of nuclear weapons. He says that nuclear-inclined states will be dissuaded by “virtual arsenals.” The prospect of setting off an arms race, in a world where knowledge of how to build nuclear weapons is universal, will prevent any state from trying to “bully the world.” What would prevent a state from bullying or invading its neighbor is nowhere explained. This frivolity about matters of life and death is inherent in satyagraha itself. That philosophy is really a kind of spiritual existentialism. With its emphasis on autonomy and on freedom despite all consequences, it has some points of contact with Julius Evola's political spirituality. Satyagrahis are, at base, engaged in a program of irresponsible self-expression. On a political level, satyagraha is a movement of opposition. It can undermine the powers that be, perhaps, but it cannot build a livable political order. That would involve engaging the world outside the self. Of course, to the practitioners of this form of “self-determination,” mere government is epiphenomenal. “That is why I take the keenest interest in discussing vitamins and leafy vegetables and unpolished rice,” said Gandhi. All those leafy vegetables did little to limit the intercommunal bloodbath that attended the end of the Raj. Today's transnationalism would take the anarchy global. This little bit on the psychological aspects of warfare is still pertinent twelve years later. One might think that the vast disparity in arms between the United States and everyone else would mean we are unstoppable. This is true, if someone is so foolish as to meet us on our own terms. If you want to see what that looks like, see Desert Storm. Pretty much everybody learned their lesson after the first Iraq War. No one can win a traditional war with the United States at this point. However, there are many ways to wage war. Most of those ways strike Europeans and their descendants around the world as unsporting. This does not mean ineffective. Psychological warfare is what keeps ISIS going, because they are definitely not military masterminds, in the total war or decisive war mindset of the West. What they are good at is media campaigns, propaganda, and preferentially killing people who can't fight back. This kind of thing can be defeated using Western-style war, if you are willing to embrace the Imperial mindset. Hell, you might even be able to do it cheap. But it won't be anything like a fair fight that we would feel good about. General Tommy Franks, at his press conference in Qatar last week, promised a war "unlike any in history." Another military spokesman described the strategy as "effect-based." The idea is to focus on your objectives, not on the efficiency of your own operation. Suppose you need to cut off power to a certain facility. You might blow up every generating station and powerline in the area. With Effects-Based Strategy, you would do better to determine which particular powerline was critical and attack just that. Best of all would be to find an insider who would throw the "Off" switch for you. Certainly the war has been full of surprises so far, but one can hardly call this strategy new. This is the doctrine of Sun Tzu's Art of War (also called The Art of Strategy). The acme of success, according to that book, is to win a victory without ever fighting a battle. The essence of this approach is psychological. The enemy commanders must be continually confused about your intentions, position, and capabilities. The enemy leadership must be pushed to capitulation through fear of annihilation and drawn to negotiation by the hope of salvaging something from the conflict. These ideas were obviously very much on the minds of the planners of the Coalition's "Shock and Awe" campaign, which is intended to convince the middle layers of the Iraqi leadership of the hopelessness of their situation, but to do so without heavy casualties, or even infrastructure damage. A reporter at one of Secretary Rumsfeld's press conferences last week asked why this strategic bombing should cause a collapse of the political will any more reliably than did the campaigns against Germany and Japan in World War II. The Secretary pointed out the real differences between the two situations. The bombing campaigns during World War II were directed against the "national morale" of the enemy. This was a diffuse target, quite unlike the unoffending civilians the strategy killed; the air raids actually served to strengthen morale. Shock and Awe, in contrast, is directed with great precision against the government and the military command. By cutting off one part of the hierarchy from another, it encourages the leaders of the fragments to look to their own survival, rather than that of the regime. I am sorry, but the reporter's question was acute. Ideologically inspired dictators have great strength to endure the sufferings of their people. If they are not actually killed (and it may yet turn out that Saddam Hussein was killed or incapacitated on the first night), their very isolation will harden their resolve. As for the commanders, we should beware of making the mistake that we made with David Koresh. The enemy leadership are not in it for the money. They are strengthened by their ideology. That is what ideologies are for. The objection to an essentially psychological strategy is the same as the objection to a strategy based on assassination. In a war of assassins, the US would have no special advantages. Similarly, the US is not much better positioned to fight a psychological war than are the Iraqis. Marketing is cheap, or at least cheaper than cruise missiles. As I am writing this, the Iraqis are showing off the dead bodies of Coalition servicemen, as well as living prisoners. They are also running successful guerrilla actions in cities that the Coalition has contained, but does not yet "control." These activities may have the effect of reinforcing support for the war, particularly in the US, but they have already created a legend on the Arab street that the Iraqis are giving as good as they get. This propaganda, combined with the huge, public opposition in the West to the war, will certainly give local Iraqi commanders pause about whether capitulation is the wiser course. This does not mean that I entertain doubts about the outcome of the war, or the capacity of the Coalition leadership. Inflexibility is not one of the leadership's failings. I certainly hope that the Baathist regime will suddenly implode, as Shock and Awe envisages. If not, the regime can be defeated in detail. As for the stay-behind and guerrilla units, these things do not have a history of being all that effective. Stay-behind units are not a novelty, but they serve a purpose only as detached auxiliaries of a state and army-in-being. Ideologically driven regimes sometimes make preparations for an underground to carry on the fight, even after the regime has been destroyed. However, I am not aware that these efforts have ever come to much. The best example is probably the German Werwolf Movement. That failed both militarily and politically; certainly it had no influence on the succeeding Federal Republic.